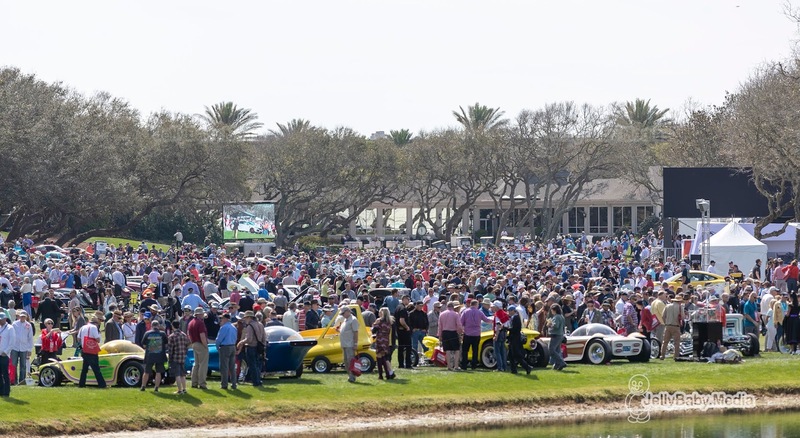 Last Sunday, we gave you a few good reasons to plan a visit to the Amelia Island Concours d'Elegance next March. But there's a lot more to look forward to on March 10th: from "Cars of the Rock Stars" with John Oates over Volkswagen coachbuilders to a striking mid-engine Corvette prototype from 1973. 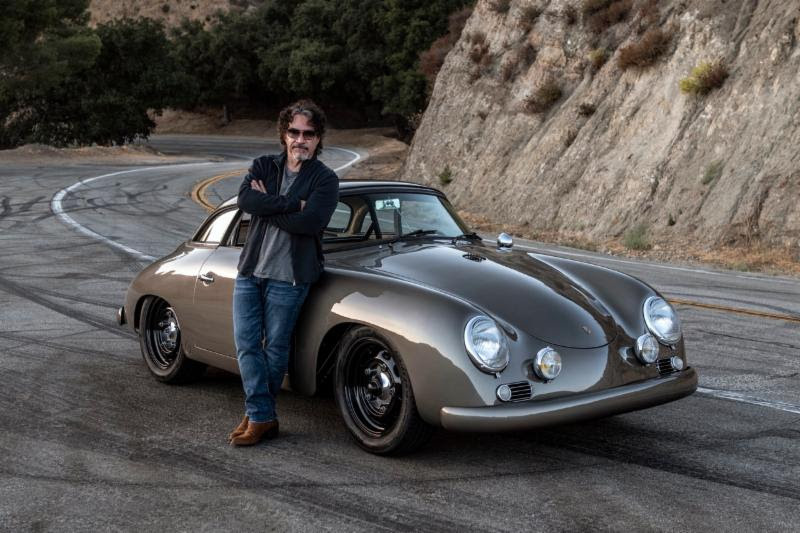 The Amelia Island Concours d'Elegance will partner with Rock and Roll Hall of Famer, John Oates, to celebrate the relationship between the automobile and the guitar. Cars and Guitars will center on vehicles and instruments from John's personal collection. The display will allow fans unprecedented access to the guitars Oates has played onstage with the best-selling rock duo of all time, Hall & Oates. "Throughout my life I have always had two major passions: Driving cars and playing guitars. Both the machine and the instrument are paragons of inspired and purposeful design. Both tell their unique story historically and culturally. Both have their roots in the late 19th century, evolving and continuing to fascinate and excite through the 20th and now into the 21st centuries," said Oates. "I'm very proud to have the opportunity to collaborate and curate this unique collection with Chris Brewer and the Amelia Island folks...we hope you enjoy it." Additionally, The Amelia will gather a small number of historically-significant vehicles previously or currently owned by musicians. John will work with The Amelia to pair each vehicle with a carefully selected guitar for the “Cars of the Rock Stars” field. 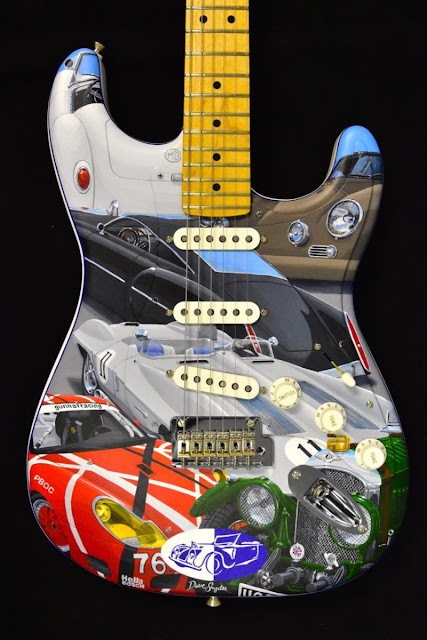 It doesn’t end with just the cars of the rockstars this year, as Cincinanati based artist David Snyder has painted a one-of-a-kind Fender Stratocaster guitar for the “Cars of the Rock Stars” class. David Snyder started drawing cars, airplanes and trains at the age of six. His passion for transportation history continues today. Snyder has displayed his artwork at The Amelia Island Concours d'Elegance since 2004. This Cars of the Rock Stars Fender Stratocaster features automobiles owned or closely associated with successful musicians . The headstock is inspired by the hood of Janis Joplin’s 1964 Porsche 356C. Other highlights include the 1959 Chevrolet Stingray Racer driven by Elvis Presley and a Porsche 911 GT3-R customized to celebrate the music and instruments of Eddie Van Halen. Of special significance are two of John Oates’ personal vehicles that will be displayed at Sunday’s Concours. To the left of where the neck joins the body is John’s 1959 MGA Twin-Cam Roadster, on the right is John’s 1960 Porsche 356 Emory Special Cabriolet. The Cars of the Rock Stars Fender Stratocaster guitar will be sold on March 9, 2019 during the RM Sotheby’s Amelia Island auction to support The Amelia Island Concours d'Elegance Foundation, a 501(c)3 charity. The non-profit foundation supports North Florida-based charities and has donated more than $3.45 million since 1996. A remarkable and special class that will take center stage on March 10th will be the Mercedes-Benz 500k - 540k. Both cars descend from the mighty Mercedes-Benz SSK, winner of the brutal 1931 Mille Miglia. The 500K was a superstar and supercar from its first moments at its introduction at the 1934 Berlin Auto Show. 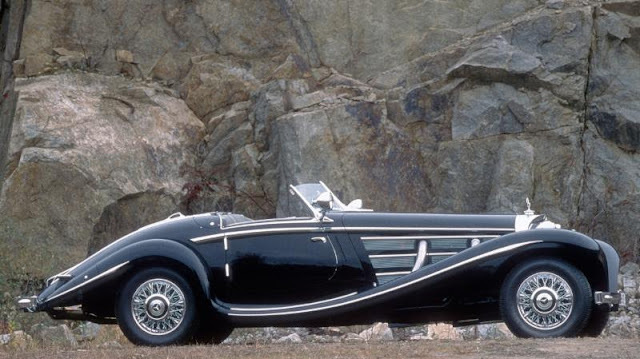 From 1934 through 1939 500K - 540K-series Mercedes was the ultimate super car, long before the term had been coined. 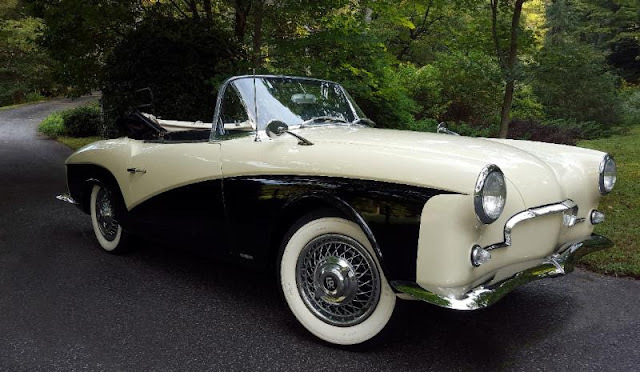 The “sheer insolence of its power” made it “a master car for the very few,” according to British enthusiasts’ magazines. It was the age of the all-conquering Silver Arrows racing cars and the ruthless and relentless technological overkill that spawned them. There was even an Indy 500 project on paper in the Rennabteilung, Mercedes-Benz’s fabled racing division. It now seems inevitable that some of the energy, glamour, power, speed and technology that went into the Mercedes-Benz Grand Prix Champions of the 1930s would find its way into the marquee 500K and 540K as the decade came to an end. A supercharged 5.4 liter straight-eight engine ultimately delivered 180 horsepower making a “an almost demonic howl” mirroring the straight-eight engineering format of the W125 racing car that dominated the 1937 Grand Prix season. Just 354 500Ks were created from 1934-1936 and 319 540Ks were built from 1936 through 1939; but only for those fortunate enough to be able to pay the equivalent of $5,000 for the privilege. Another 70th anniversary is the arrival of the VW Bug in America. To acknowledge that, the Amelia concours will highlight an overlooked segment of Europe’s “carrosserie” culture with a class of custom coachwork Volkswagen “Bugs”. This will be one of the classes to watch out for, as there have been several surprising and very elegant custom built coachwork VW’s produced; not only in Europe but also in the States. The perfect fodder for an Amelia Concours special class said founder Bill Warner. Jacksonville has played a role in the VW saga thanks to local import car industry Hubert Brundage, the “BRU” in Brumos. His name will always be associated with Jacksonville where he also created the Brumos Porsche Car Corp.
A striking mid-engine Corvette prototype will be featured as a part of the 2019 Amelia Island Concours d'Elegance’s Mid-Engine sports car class. The display is also scheduled to include examples from DeTomaso, Ferrari and Lamborghini. 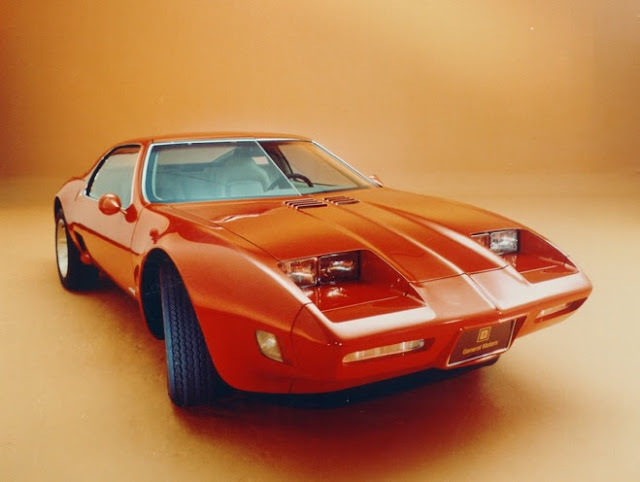 The 1973 Chevrolet Corvette XP-897 GT was one of two mid-engine Corvette prototypes designed by General Motors Styling Division to promote the smooth and high revving Wankel Rotary engine. The rotary was intended to power GM passenger cars from 1976, so both cars were shown at the major worldwide auto shows from September 1973 to April 1974. Unfortunately the rotary Wankel engine proved to be both thirsty and polluting compared to the conventional piston-in-cylinder engine so the simultaneous gasoline shortage and strict Federal emission legislation sealed its fate. After the last show appearance in Europe the XP-897 GT lost the rotary engine and was sealed in a plywood case and stored at the British GM Division Vauxhall Motors Design Centre in Bedford, England. Scheduled to be crushed in the early 1980s, it was rescued by Corvette author Tom Falconer with the assistance of then GM Head of Design, Chuck Jordan, and has been displayed in Kent, England until recently. On March 10, 2019, the XP-897 GT will be displayed alongside a recently-acquired 1973 GM rotary engine at The 24th Annual Amelia Island Concours d'Elegance. The Amelia will be held March 7-10, 2019 at The Ritz-Carlton, Amelia Island and The Golf Club of Amelia Island. For the Amelia’s full events schedule, including Saturday’s Cars & Coffee at the Concours and Sunday’s premier Amelia Island Concours d’Elegance, visit www.ameliaconcours.org.